A key partnership with ‘Empowering Indigenous Women for Stronger Communities’ has informed and shaped so much of the qualitative work we have accomplished to date. Odelle Pike and an ever-growing list of feminist activists have shaped the way we are asking questions and building key concepts for the discussion groups. 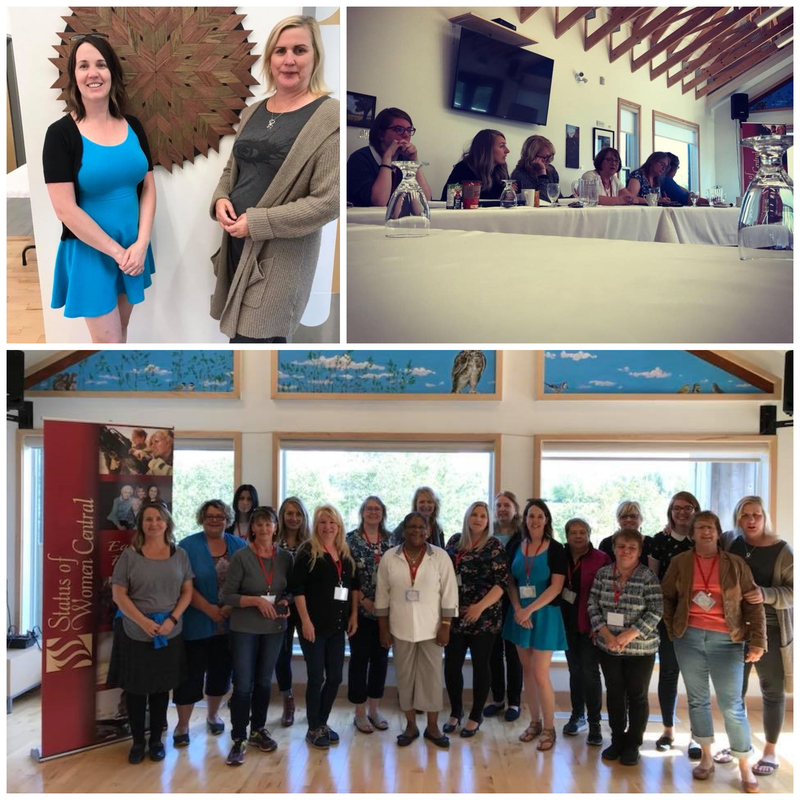 Beginning with two trips to Labrador (key meetings with the Mokami Status of Women Centre in Happy Valley-Goose Bay and a paper survey session in Rigolet), outreach to date has also included an early presentation to the Board of the NL Federation of Labour in Terra Nova and a timely, dense and powerful connect with all of the Executive Directors of the Status of Women from across the province in Grand Falls-Windsor at their AGM in September. Your ‘tiny but mighty’ duo of policy analysts will be travelling as far as our limited travel budget allows! Qualitative data is being gathered steadily – initially thanks to a series of road trips. 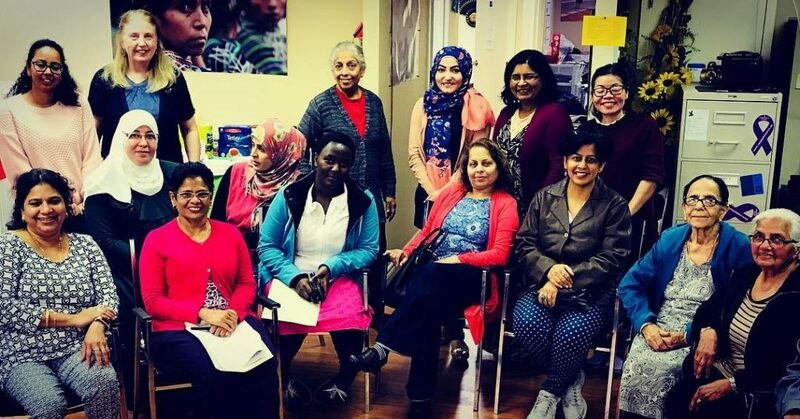 We couldn’t wait to communicate directly with frontline workers alongside women who were so eager to share their relevant lived ‘DV in the workplace’ experiences. 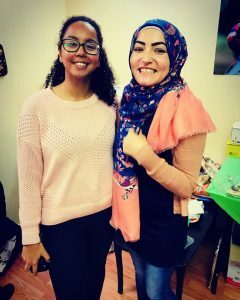 Our two Roundtables in Stephenville and a bonus meeting in Corner Brook, along with a recent focus group at the Multicultural Women’s Organization here in St John’s have left us neck deep in notes and so anxious to talk to more groups and take…more notes! Special thanks to all the Status of Women Councils who continue to help us arrange meetings with key community front line service providers. Fantastic meeting with women from the Bay St. George’s Women’s Council. Powerful focus group with the Multicultural Women’s Organization of NL and a key follow up paper survey session hosted by Abir zin alabdin. We can’t thank the Board of MWONL enough! 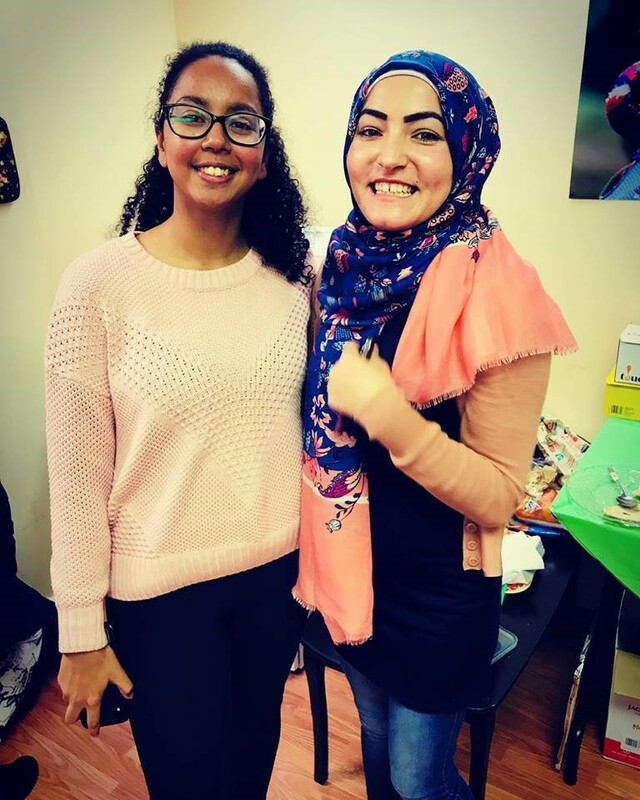 Special thanks to Nourin (left), Rabia (right) and the amazing Abir (found in the other MWONL group photo) for their help translating back and forth from English to Arabic! We are so thrilled to share that both Tina Pretty from UNIFOR/FFAW and the Allan Horwood from the Military Family Resource Centre in St. John’s leapt at the chance to share the survey with their networks – putting the survey link on their websites immediately. The FFAW went above and beyond – printing the survey link on 2000 business cards along with distributing the cards to women’s advocates and including the link and background flyer in their magazine – with a distribution reach of 10,000 workers. Included were the fish and processing and non-fish industrial units along with their members in brewery, hospitality and metal fabrication. We are so grateful for all the help we are getting from so many corners. Finally, some of the most critical moments in the project, in addition to the Roundtables and survey sessions described, have been the one-in-one interviews with DV survivors and their co-workers. We are so grateful for those who have reached out by email – willing to share their lived experience and ideas for better resourced workplaces. So grateful for this impromptu ‘crack-o-dawn’ meeting with the Corner Brook Status of Women Centre! 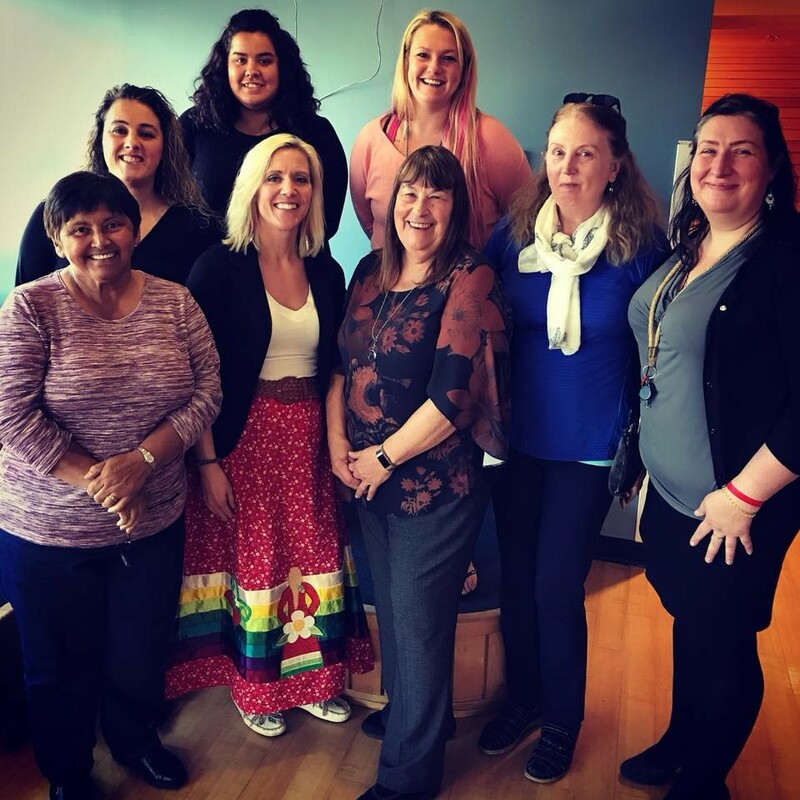 Focus Group in Stephenville – we can’t thank the Newfoundland Aboriginal Women’s Network (NAWN) enough for their leadership and inspiring outreach work. We took 17 pages of notes! 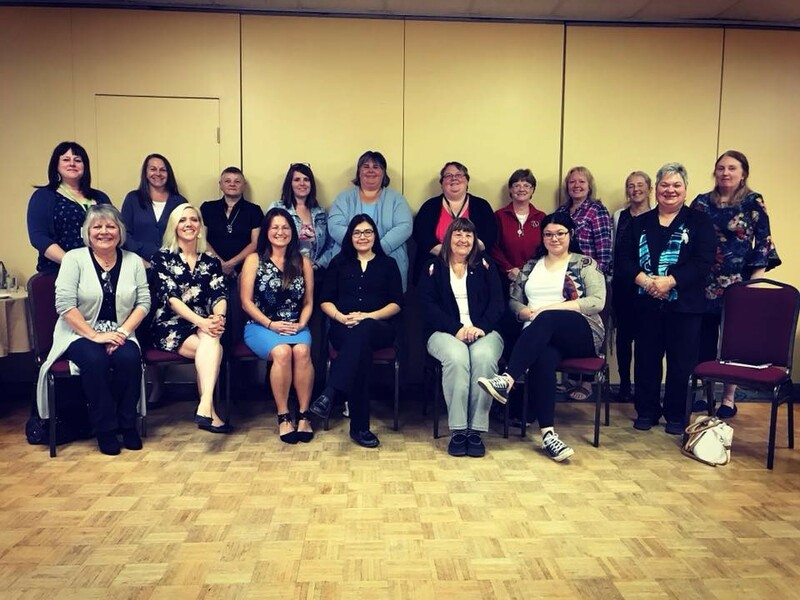 PANSOW AGM IN GRAND FALLS-WINDSOR – we were so thankful to be empowered to present the DV@ Work project to this powerful assembly of Executive Directors and key staff. It was such an honour to hear from feminist leaders from right across our province – and hear from them directly about key concerns and priorities. Has your workplace been impacted by domestic violence – we want to interview you! Please email jnolan@sjwomenscentre.ca or brenda@sjwomenscentre.ca or call (709) 753-0220. What we do know is that Newfoundland and Labrador has among the highest levels of Domestic Violence (DV) in Canada. What we don’t know is the impact of that violence on workplaces in our province. To understand more, the St. John’s Status of Women Council has partnered with the Centre for Research & Education on Violence Against Women and Children at the University of Western Ontario to launch a critically important survey on the impact of DV on workers and workplaces in Newfoundland and Labrador. To ensure that our provincial economy can prosper, safe workplaces are essential. Domestic Violence costs the Canadian economy a staggering $7.4 billion annually. The good news is that Canadian and international research has shown that positive change can happen when the right types of policies, training and other supports are put in place. Domestic Violence in our communities and workplaces is both a social and economic challenge for all of us. In just 30 minutes, by completing this survey, you can contribute to creating workplace practices that help support victims of DV and their co-workers. The survey is anonymous, and participation is voluntary. All workers in Newfoundland and Labrador over the age of 15 are invited to fill it out. We are working hard to ensure participation from all regions of Newfoundland and Labrador, all genders, Indigenous people, and people with different perspectives and experiences. Your voice is important, whether or not you have personally experienced or witnessed violence. In appreciation of your time spent completing the survey, you have the option to enter to win one of three $250 prepaid VISA cards. Talk to your co-workers, friends and family and encourage them to take part. Share the link on social media and invite everyone in your workplace to take the survey. A Justice Canada study estimated that businesses lose approximately $78 million annually due to DV, but the real costs are much higher. Approximately every six days, a woman in Canada is killed by her intimate partner. Indigenous women are killed at six times the rate of non-Indigenous women. In any given night in Canada, 3,491 women and their 2,724 children sleep in shelters because it isn’t safe at home. The nationwide survey launched by the Canadian Labour Congress (CLC) and the University of Western Ontario in 2014 provided solid data to help us understand national DV trends. This information illustrated that DV is a systemic barrier to women’s economic security. This has severe implications for our province’s labour force and presents a tremendous cost to our economy. Over 80 per cent of survivors reported that DV negatively affected their working lives. Over half (53.5%) of those reporting DV experiences indicated that at least one type of abusive act occurred at or near the workplace. Of these, the most common were abusive phone calls or text messages (40.6%) and stalking or harassment near the workplace. 53 per cent of survivors felt their job performance was negatively impacted. 75 per cent had difficulty concentrating on their work. 19 per cent reported causing or nearly causing workplace accidents due to their violent relationship. 40 per cent of those who reported experiencing Domestic Violence, said DV made it difficult for them to get to work. Stanford, Jim (2016), “Economic Aspects of Pail Domestic Leave Provisions,” Briefing Paper – Centre for Future Work at the Australia Institute. Fonseca, Peter (2009), “Bill 168, Occupational Health and Safety Amendment Act (Violence and Harassment in the Workplace and Other Maters),” Legislative Assembly of Ontario. Lewin, Brent (2012), “Justice Canada study says spousal abuse costs country at least 7.4 billion a year,” National Post. Mojtehedzadeh, Sara (2014), “Domestic violence follows victims to work, survey finds,” Toronto Star. Wathen, C.N., MacGregor, J.C.D., MacQuarrie, B.J. with the Canadian Labour Congress. (2014). Can Work be Safe, When Home Isn’t? Initial Findings of a Pan-Canadian Survey on Domestic Violence and the Workplace. London, ON: Centre for Research & Education on Violence Against Women and Children.